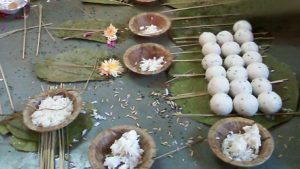 Raptha saptami is observed on the saptami (7th day) of the Shukla paksha during the month of Magha (Jan-Feb). 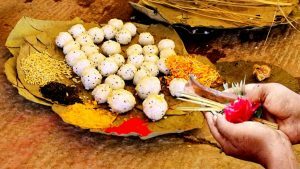 What are the other names of Ratha Saptami? 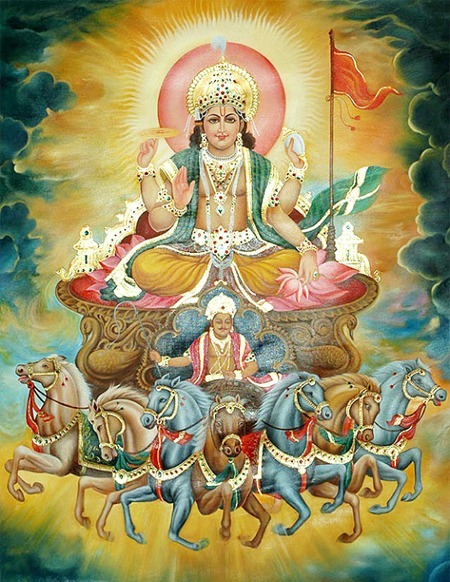 Ratha Saptami is also known as Surya jayanthi, Magh Jayanthi or Magha saptami. Cause of the name – Ratha Saptami? The word Ratha means chariot and Sapta means seven which also relates to the number of horses that pull his chariot. There are lots of temples that venerate the Sun god. The Ratha Saptami is celebrated in these Lord Surya temples. The celebrations at Tirumala Tirupathi Balaji temple, holds great significance in states of Karnataka, TamilNadu, Andhra Pradesh and Maharastra. Story associated with Sun God worship. It is believed that King Yashovarma had no children, so he performed prayers to Surya Bhagawan. In turn he was blessed with a Son. However, The Son fell sick and the King’s son was advised by a saint to perform the Ratha Saptami pooja to be relieved of his past Sins. The prince followed the instructions of the saint and performed the Ratha Saptami pooja and was restored with good health. It is also believed that by faithfully worshipping Surya Bhagwan on this day, all the kinds of sins, from the current or previous births will be forgiven. Surya Namaskaram even once a year on the Ratha sapthami day will grant good health for the whole year.